You are viewing all comments posted under Tennessee. Thanks Misty! What a wonderful song. Everyone can pay tribute in their own special way! 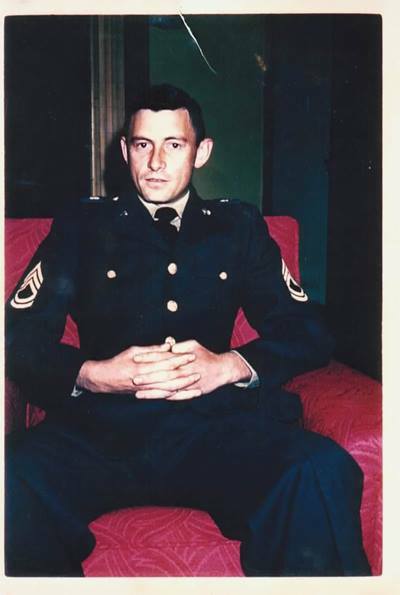 My dad, SSG Wade Murph was so proud to serve in the military. He was in the Army for 22 years, and after he retired, he always regretted retiring. He was the epitome of a soldier. He lived it every day. He was in Korea twice and Germany twice. I want to thank him and all of the other veterans and active duty personnel. God bless them all! Indeed! What a handsome soldier! I would like to share my pride and love for my families who served, some lived, some died, in previous wars. And to my nephew who is currently serving in the Navy. I love them dearly and pray all come home safely. I am grateful for what they do/have done, to ensure our liberties. Always LOVE, Mrs. H.
Kenitha, we can't wait till they come home, AND we are dedicated to making sure they get what they need once they are home. Let's support our Veterans.